I clearly remember the morning of 9 May 2018. It was one of the first days of the year where it really felt like winter. It was the sort of morning where your breath forms clouds in front of you and the fog cloaks everything in white. I woke up uncharacteristically early. I had been worrying about what I’d like to do after graduation and my aspirations felt impossibly out of reach. Only half paying attention, I glanced at my phone and noticed an email from a name I didn’t recognise. Dear Victoria, it began. Following your application, we are writing to informally inquire whether you’d be interested in an internship with the United Nations. Suddenly, I was wide awake. I sat bolt upright in my bed and read the message again to make sure I wasn’t mistaken. 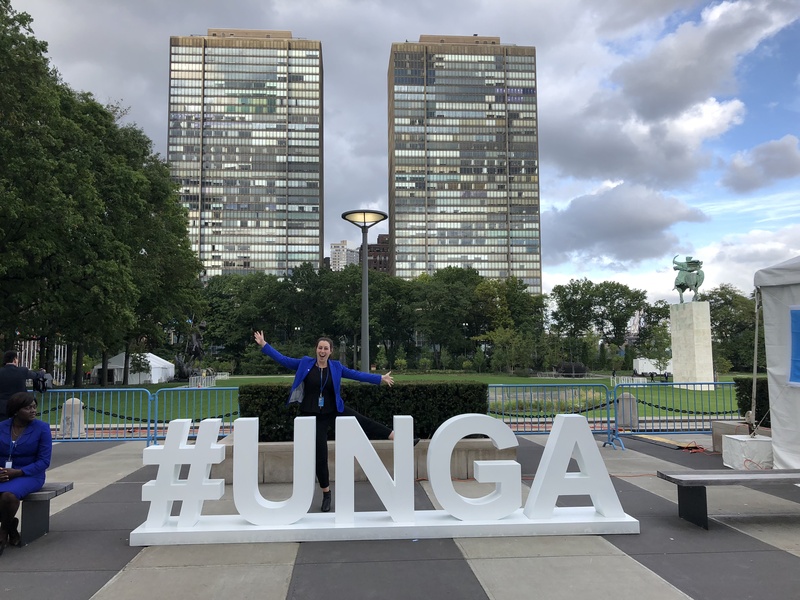 Then it registered that I had somehow been selected from hundreds of applicants to intern at the United Nations Office for Disarmament Affairs (UNODA) in New York. Later, I would find out that I was the first New Zealand woman to ever receive that message. The next two months were a whirlwind. I wrote my Honours dissertation in five weeks. I bought plane tickets, organised accommodation and applied for $25,000 worth of funding through the Peace and Disarmament Education Trust (PADET) as well as the University of Auckland. I also had last-minute surgery to remove a tumour from my leg. Looking back, it seems crazy that I crammed so much in, but I was determined to make it happen. Before I knew it, I was saying goodbye to everything I knew and boarding a flight to New York. I was so excited to be in a city full of like-minded people. New York has this way of breathing life into your veins; its inhabitants are relentlessly committed to pursuing their dreams. The moment I laid my eyes upon the starry lights of Manhattan, I felt like I belonged. 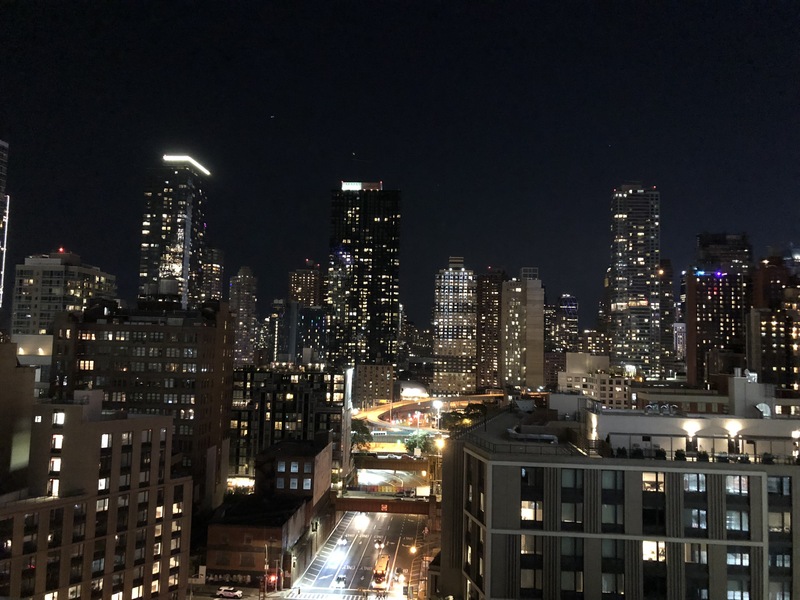 View from Victoria's hall of residence roof at night. I spent my first couple of days predominantly in the library. I carefully read the UN Secretary-General’s Disarmament Agenda and familiarised myself with the issues I would soon be working on. I was shocked to discover that only one quarter of the participants at any given intergovernmental meeting on disarmament were women. It was daunting to think my voice might matter. However, my nerves quickly dissipated when I met my wonderful team at UNODA. Despite the UN having over 6000 employees in New York, everybody was extremely welcoming. I learned that I was going to be interning with five other people from the United States, the United Kingdom, Japan, Belgium and Germany. It was reassuring to discover we all felt like imposters. My colleagues sat me down and asked what I’d like to work on during my internship. UNODA’s mandate covers a wide range of areas from weapons of mass destruction to emerging technologies. In my role as a Political Affairs Intern in the Strategic Planning Unit, I would have flexibility to cover any cross-cutting issues in disarmament. I told my team I was interested in North Korea, artificial intelligence and gender. Those issues became my job. Over the following few months, I got to cut my teeth on a bunch of interesting projects. I tracked developments on the Korean Peninsula and advised on the Secretary-General’s strategy for meeting North Korean Foreign Minister Ri Yong-Ho during the General Assembly. I also researched different artificial intelligence policies around the world and analysed their impact on arms control. I even went back in time and pooled together statistics on the representation of women at UN disarmament meetings. It was surreal to be at the forefront of problems I previously knew only as concepts in lecture theatres. Victoria on the Delegates' Lounge balcony at the United Nations, New York. The most exciting part of interning at the UN was undoubtedly being able to attend official meetings and events. The first time I visited the Security Council chamber, I didn’t hear anything being said for the first 10 minutes because I was so in awe. Most of the time the Council discussed procedural matters, but there were some fiery debates over Syria and North Korea where the delegates seemed to have trouble containing themselves. I vividly recall US Ambassador Nikki Haley side-eying the Russian delegation and denigrating their opinions as “the definition of fake news.” It was both fascinating and frustrating to see the world’s most powerful international body deadlocked by the veto. The General Assembly high-level week was another standout. I watched US President Donald Trump’s statement live and will never forget laughter infamously breaking out in the General Assembly hall. I loved Prime Minister Jacinda Ardern’s statement on behalf of New Zealand. She was the only world leader to talk about kindness, which made me feel immensely proud of where I was from. I also spent a lot of time attending events on the side of the First Committee on Disarmament and International Security. There were panel discussions almost every day where experts offered their perspective on issues such as the illicit trade of weapons on the dark web. I was responsible for writing recounts for the UNODA website, which was a great opportunity to expand my knowledge of disarmament. Besides the substantive work, I got to participate in some awesome social activities at the UN. One of my favourite experiences was the annual Staff Day. This was where the entire New York office came together for sports, movies and a talent show. I remember looking around the sports field and thinking how cool it was that people from so many different cultures and backgrounds could bond through these activities. Upon reflection, I think it’s safe to say I had the time of my life. I strengthened my understanding of international relations and learned an immense amount about how the UN functions. I met amazing people from all over the world. Going forward, I’m confident the experience I gained will prove valuable in whichever industry I explore next. Every single time I looked out the office window at Manhattan, I felt beyond lucky to be there. We are fortunate to have incredible organisations in New Zealand willing to cover living costs during unpaid internships and I am so grateful to both PADET and the University of Auckland for their support. I hope I can give back by sharing what I learned at home and encouraging other Kiwis to get involved in disarmament. If there is one piece of advice I could give to people who are considering applying for UN internships, it would be to try. New Zealanders tend to have a humble complex that stops us from putting ourselves forward for jobs we are qualified to do. We bring a can-do attitude and creative mindset that are assets to international organisations. 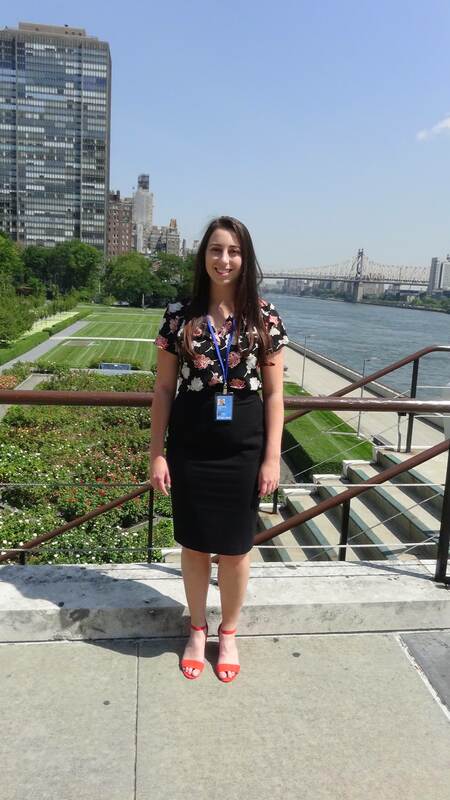 Securing an internship with the UN might seem crazy, but sometimes things have a way of working out. It’s only impossible until you do it.